They are here!! First day of our Annual Apple Fest at The Hive Honey Shop started today. We have 15 different varieties for sale today and will continue to update the selection as the apples ripen on the trees. We have 80 varieties in total! These are apples NEVER sold on the market so hurry and take advantage of tasting a bit of History! Good news!! We have decided to price them at a GIVE AWAY PRICEof only £1.25 per kilo! Everyone should be able to afford a rare gourmet apple this way. So do not hesitate as we only have a very limited stock of each variety. In most cases just one bucket for each variety. Yes its back. We have fresh apple juice from our orchard apples. 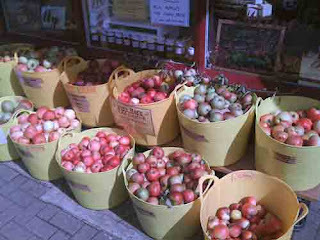 Not many bottles this year as we are offering lots of fresh apples to customers as per above. So when its gone -its GONE!